2016 BOS at German Pinscher Club of America National Specialty! BOS and BOBOH at 2016 GPCA National Specialty in Gray Summit, MO. Ranked #17 German pinscher for 2015 in Canine Chronicle Breed Standings after only showing ~ 2 months in 2015. Ranked #3 German pinscher in AKC 2015 Owner-Handler Breed Series despite limited showing in 2015. Awarded AKC Bronze Grand Championship in March 2015. 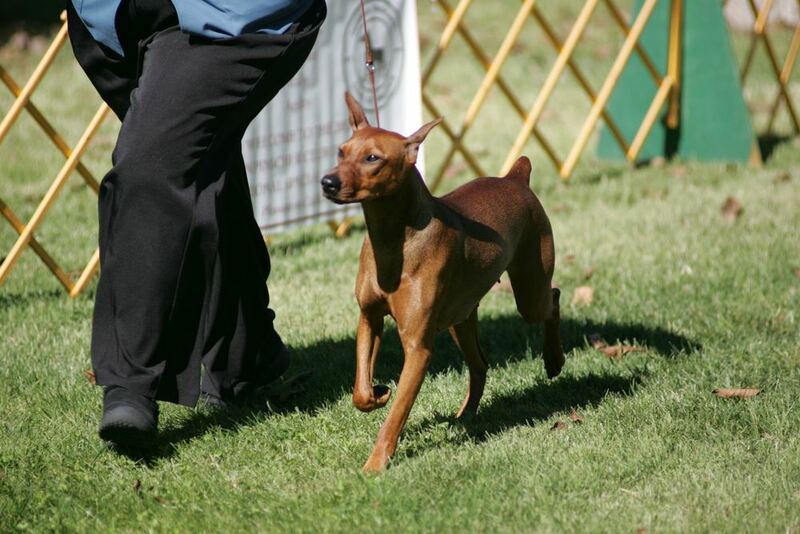 Ranked #17 German pinscher for 2014 in Canine Chronicle Breed Standings. Ranked #6 German pinscher in AKC grand championship points ranking in 2014. Award of Merit at Eukanuba, December 2014. Best of Breed at the AKC National Owner-Handled Series Finals at Eukanuba in December 2014. 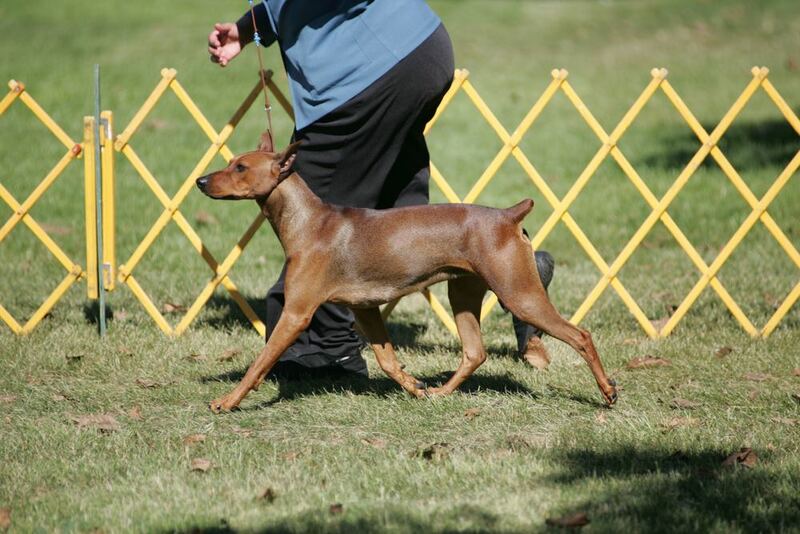 Owner Handler Group 2 in November 2014 in Pueblo, CO.
Ranked #6 German pinscher in AKC 2014 Owner-Handler Breed Series. Award of Merit at the 2014 GPCA National Specialty in Belton, TX. Earned her AKC Grand Championship in April 2014. 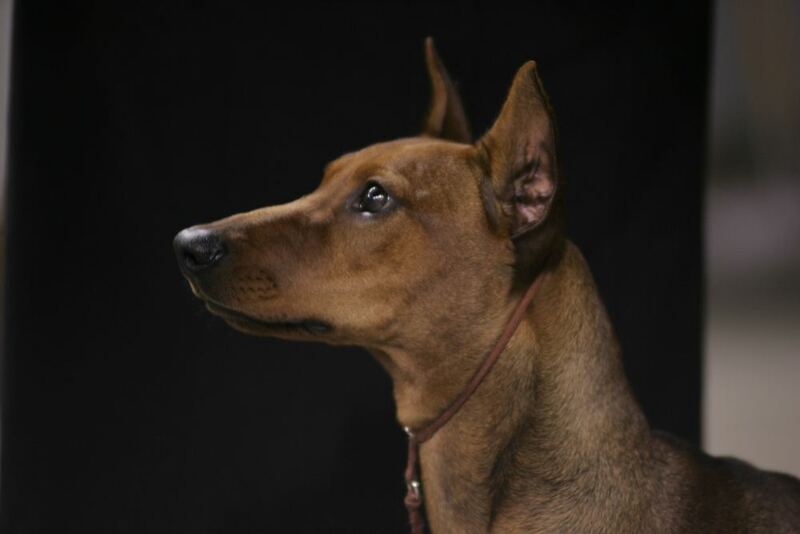 Ranked #15 German pinscher for 2013 in Canine Chronicle Breed Standings. Ranked #17 German pinscher in AKC grand championship points ranking in 2013. Best of Winners at the 2012 GPCA National Specialty in Pleasanton, CA. Best of Breed out of the puppy class in August 2012 over multiple specials.